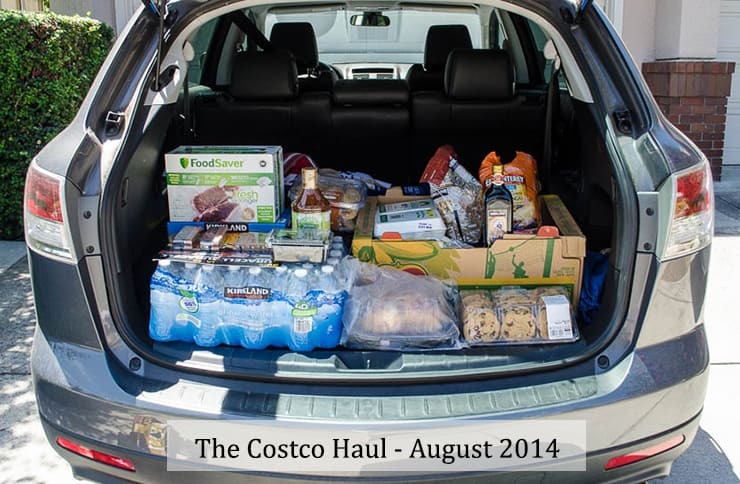 We took some time last week to head over to Costco to restock the kitchen and check out their seasonal goods. 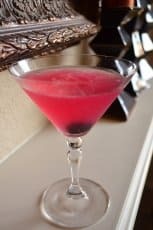 I’m sharing our haul and I’m also sharing a few items that caught my eye. Actually, there were more than a few that caught my eye this time around. I LOVE having a day off from work during the week. Since our shop is open on Saturdays, my husband is almost always at work that day so we take a day off during the week to take care of life and very often it ends up being a hunting and gathering day. A trip to Costco on a weekday is far and away a more relaxing experience than a weekend trip with the masses. It’s always bustling, but on weekends it’s downright insane. It’s nice to feel you can take the time to look at the items instead of the mad rush to grab and go that you feel when you’re in there with a zillion others. I was out of a few key items but I was also there to see what was new. I always like to try the new items and have found some real keepers. So, without further ado – here’s this month’s haul. I’ve purchased this brand of ravioli from Costco before and had great luck with it but this is the first time I’ve come across the Tomato & Burrata Cheese flavor. I love to have basic ravioli on hand to boil up for a side dish or to spruce up a little for an entree. And, burrata cheese, please, I swear I could live on tomatoes and burrata cheese. And, maybe a loaf of French bread and a glass of red wine. Yes, I’m sure of it. 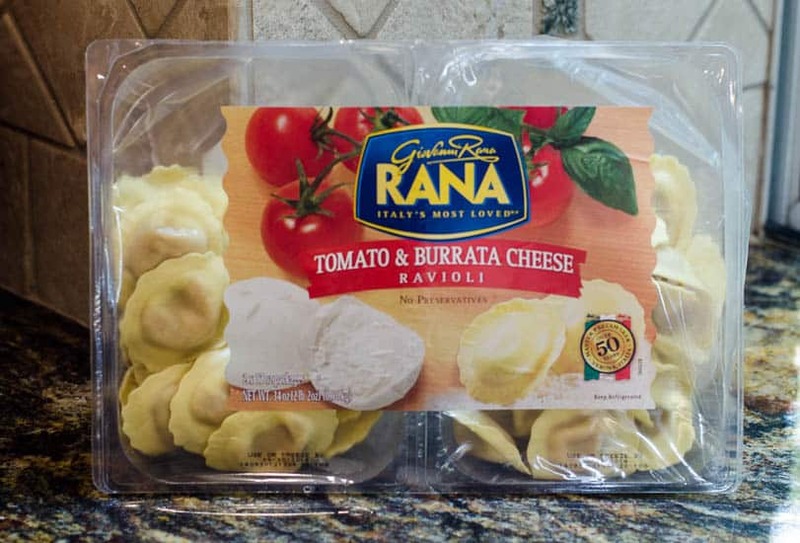 Update: This is officially my favorite variety of ravioli from Rana that we’ve tried to date. 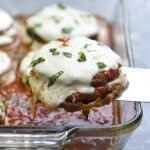 I served it simply with a little pesto and Parmesan and it was incredible! I picked up a NutriBullet at Costco a few months back and between Boy #4 and I, we have become crazy, smoothie making fiends. 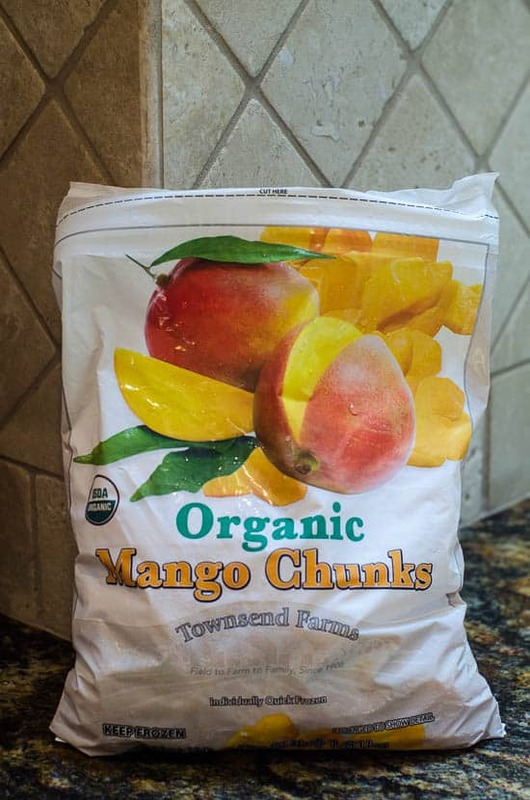 I have to constantly replenish my stock of frozen fruit and mango is one of my favorite items to include in my breakfast smoothie. Check out my Tropical Green Smoothie recipe for a great way to incorporate fruit, greens, and protein packed Greek yogurt into your diet in a very pleasurable way. 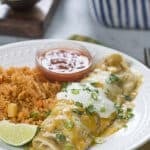 When the college kids are home, I like to keep a quickie, easy item like these yummy chimichangas in the freezer for them. 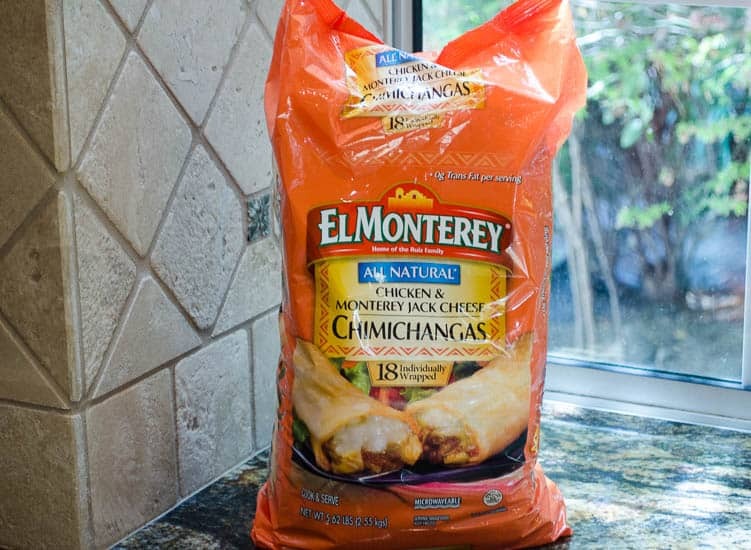 Say what you want about frozen food – chimichangas rock. New item alert! 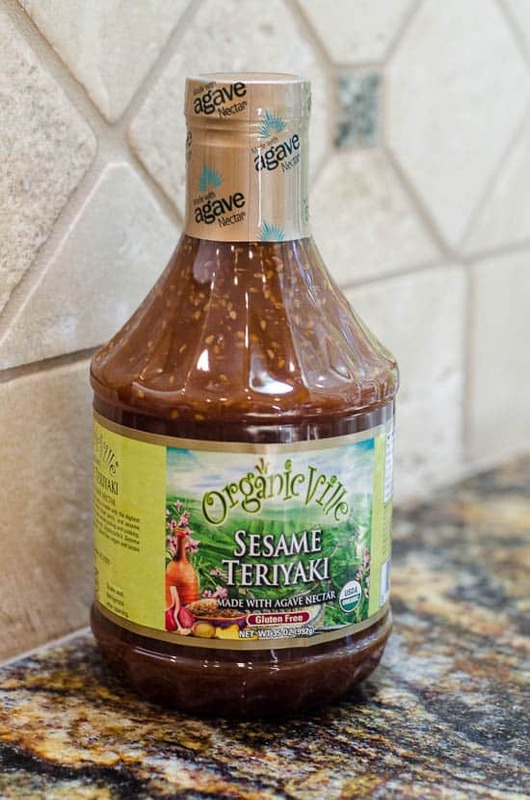 I’ve been a fan of a lot of the sauces and marinades I’ve tried from Costco so I’m giving this organic, Asian style sauce sweetened with agave nectar a try. I’ll report back. 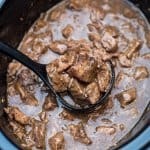 Update: I’m happy to report that the sauce is a winner. Take a look at how I used it, together with the salmon fillet below HERE. 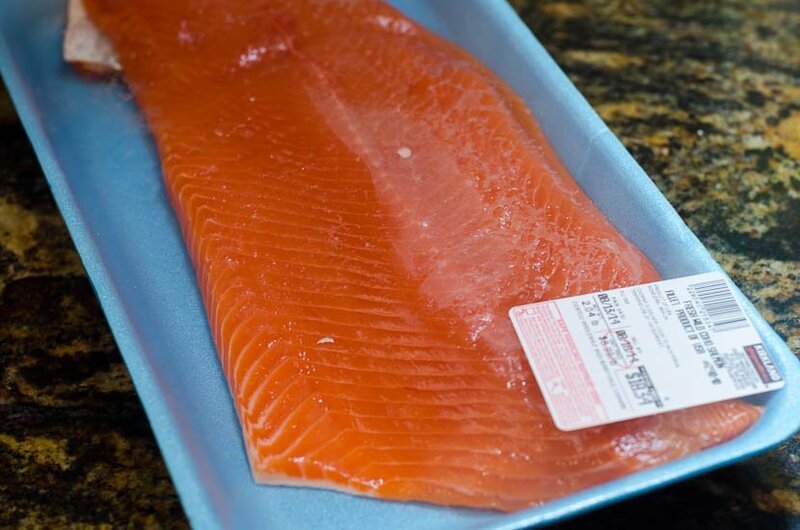 These great big salmon fillets are large enough to provide about 4 to 6 servings. This time around I went with the fresh, wild Coho salmon. 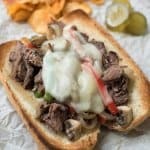 Flank steak is such a versatile cut of meat. The pieces are rolled in the above photo but it is actually a thin cut and is wonderful when grilled quickly on an indoor or outdoor grill. This is the cut I prefer for my Carne Asada Tacos. I turned my back for a minute and found that my husband had put this giant package of chocolate chip cookies in the cart. Reminiscent of shopping with a 7 year old? Maybe. 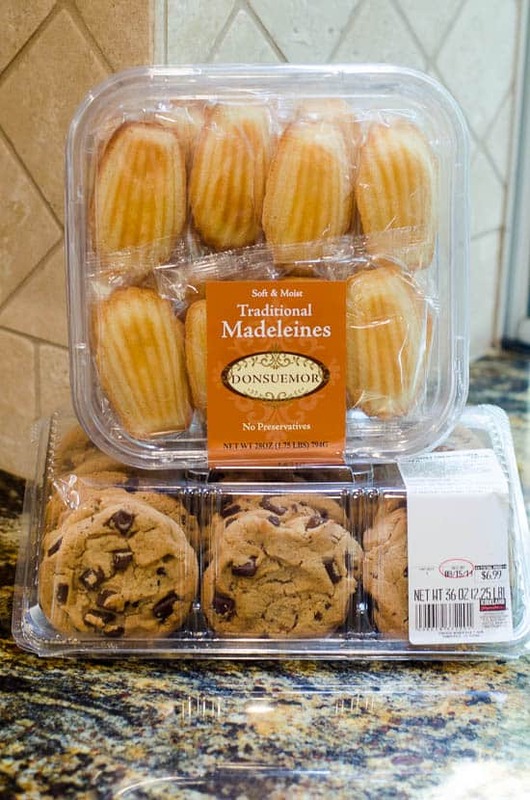 But then I grabbed the madeleines so we’re even. Having the boys around gives us a valid excuse for buying cookies. I’ve received lots of comments from readers like this – “Wow, you guys eat a TON of cheese” or “That’s a whole lotta meat you got there”. No, we are not consuming massive amounts of cheese and meat (sounds fun, though). We actually exert quite a bit of portion control and eat very well rounded meals ’round here. 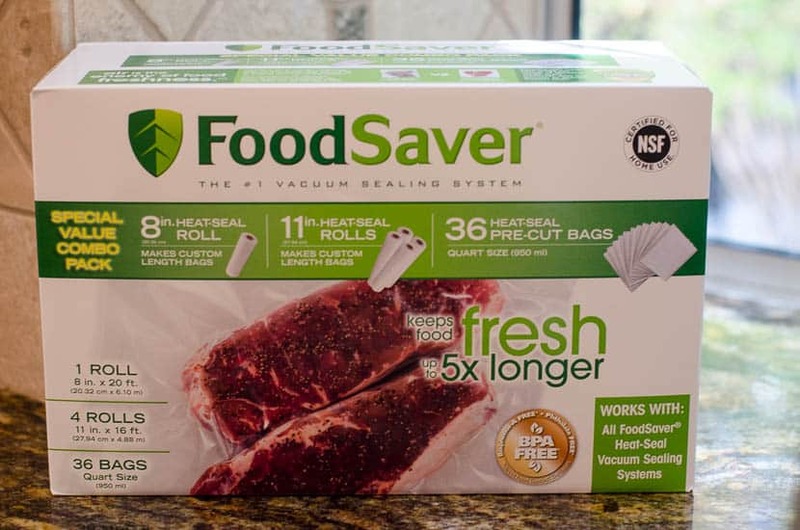 I have the ability to buy in bulk solely due to the fact that I own a FoodSaver Vacuum Sealer that I purchased at Costco years ago. They also carry this big assortment of the rolls and bags. I honestly can’t remember when I purchased my last box but I believe it was over a year ago. This package lasts me a very long time. When I get home from a shopping trip, I portion out and vacuum seal my meats, cheeses, and other perishable items. 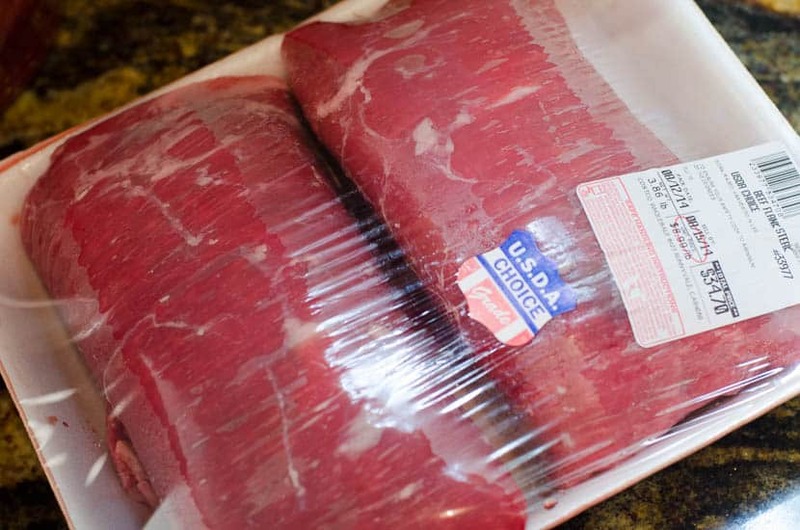 Vacuum sealed meats can be frozen for up to 2 to 3 years versus the normal 6 month max. Cheese goes from 1 to 2 weeks for normal storage all the way up to 6 to 8 months if vacuum sealed. Check out FoodSaver’s food storage chart HERE. I’ve not once regretted the purchase of this nifty kitchen appliance and use it constantly. Trash bags! Yay! I know, kinda boring, but we all need them and we always get ours from Costco. And, that’s all I’m going to say about trash bags. You’re welcome. 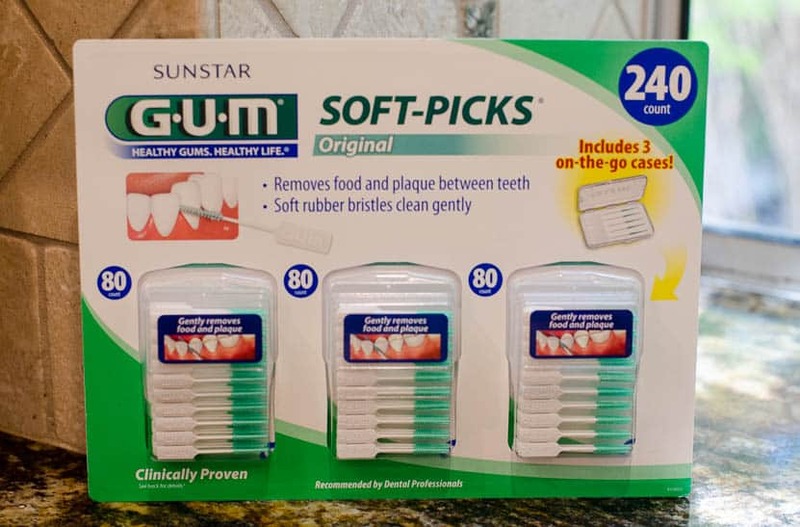 Our dentist is a big proponent of these little brush picks and I’ve become totally hooked on them but they’re a bit expensive at the drug store. I was happy to see Costco carries a 3 pack for a pretty good price. Time to move on to “eyed but didn’t buy” section. Since it wasn’t too crowded, I’ve got lots to share with you this month. 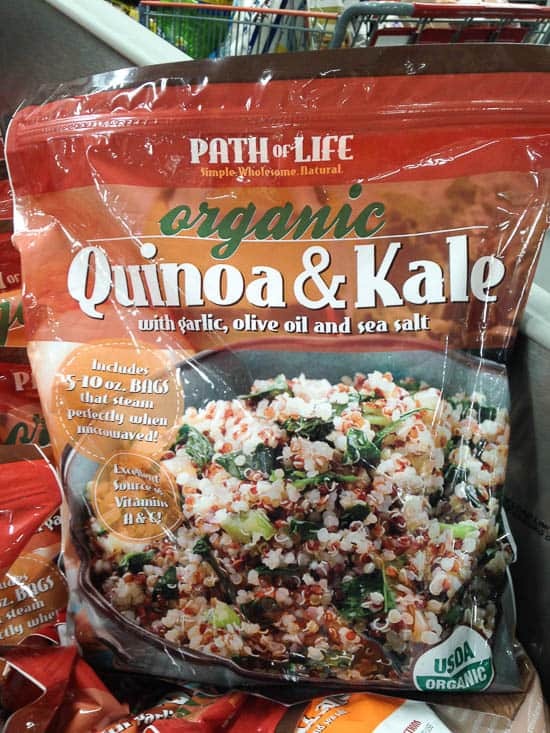 The organic section at my Costco is alive and well and stocked with a lot of items I hadn’t seen before, including this frozen Quinoa & Kale with Garlic, Olive Oil, and Sea Salt. I may grab a bag of this next time. 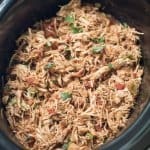 Looks like a healthy, easy side dish or the great basis for a yummy main dish. 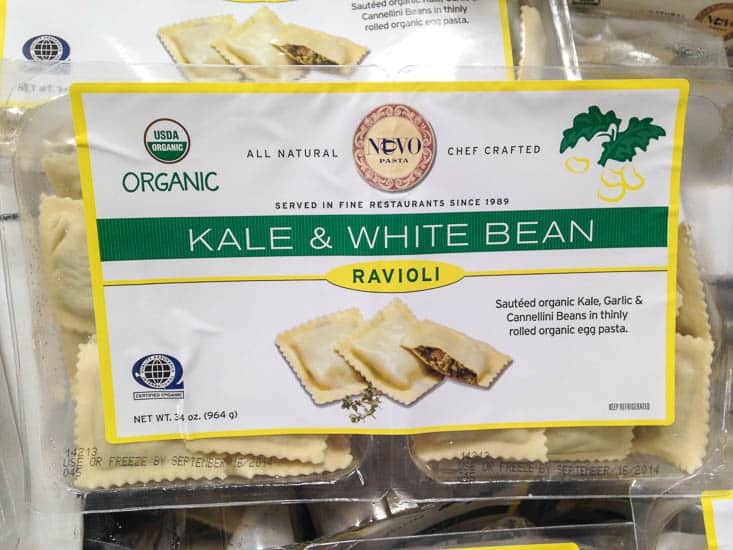 Kale was prominent in the organic section and this ravioli caught my eye. 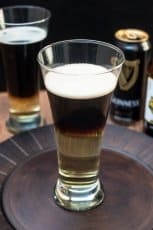 I passed this time but it’s on my list of items to try. 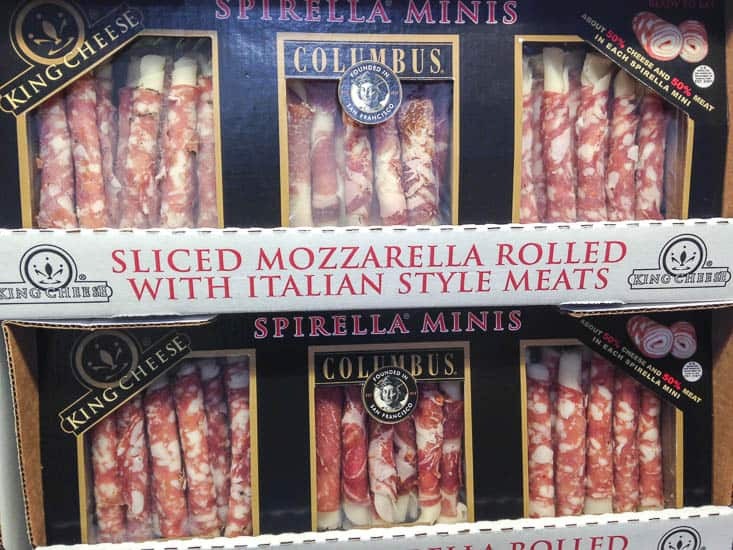 These Italian meats rolled up with mozzarella looked SO good. If they are still stocking this item over the holidays you could put together a beautiful antipasto platter with them. If these were in my fridge for any length of time I’d be in trouble so I passed for now. 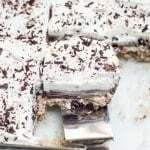 Another great item for the antipasto tray. 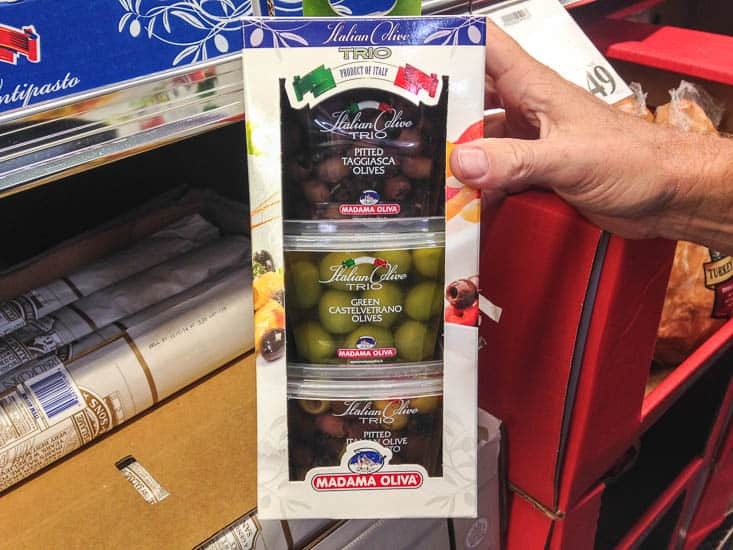 A trio of big, beautiful Italian olives. Yum. I love this clever magnetic storage system. 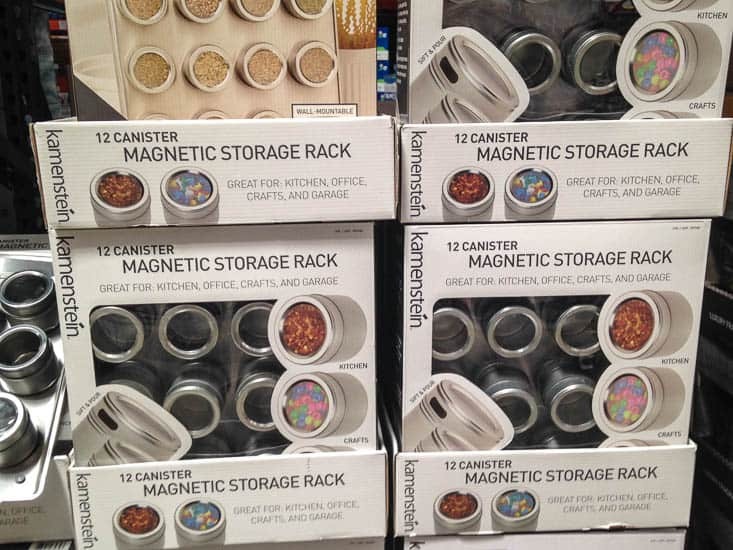 It includes 12 canisters with lids that stick, magnetically to a metal board. Great for the kitchen, garage, office, or craft room. I’m a sucker for a good organizational/storage item. 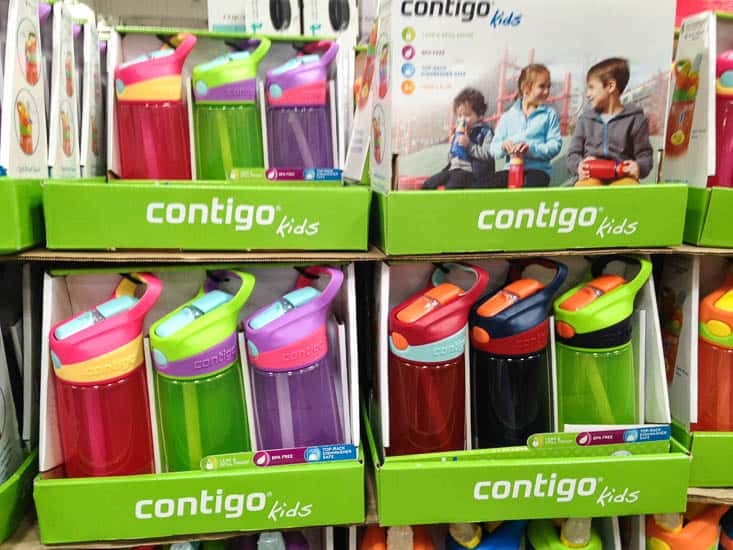 The back-to-school section is dwindling but they still have a few items left, like these colorful kids water bottles. I think these are pretty stylin’. Are you all ready for Halloween? Yep, I said Halloween. 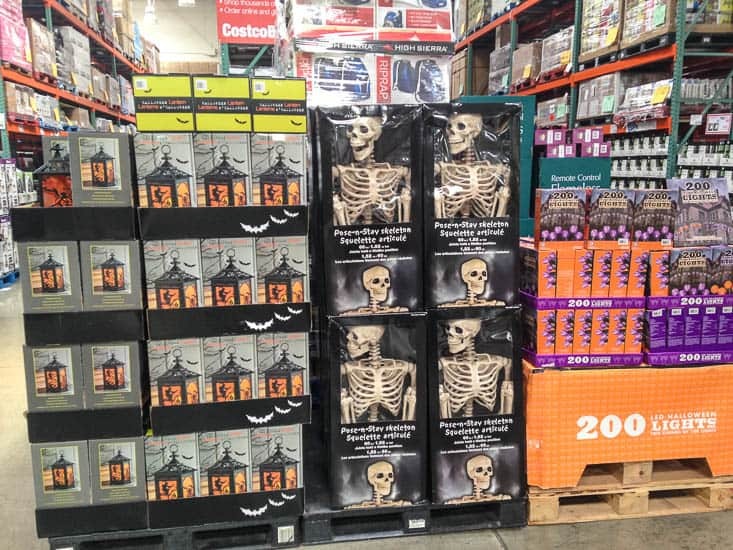 Who cares that it’s two months away, Halloween is on in full force at Costco with lots of spooky decorations and more. I’m thinking Mr. Bones there in the center would make a nice addition to our ever growing collection of Halloween decor. 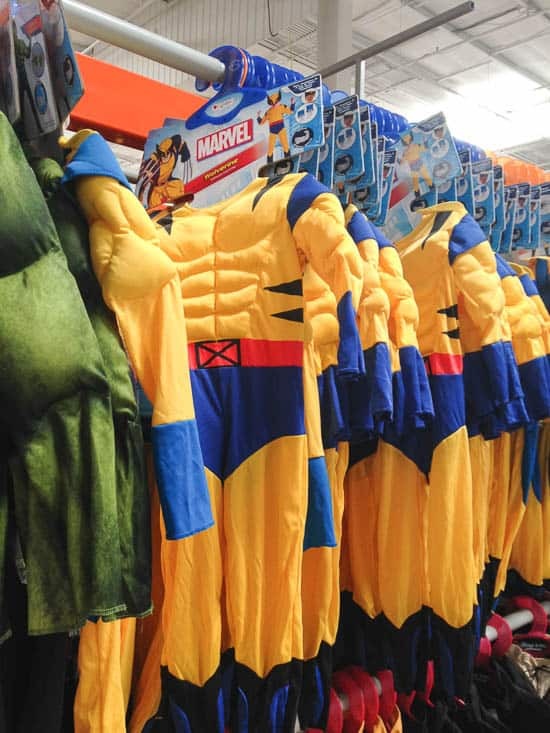 They have a TON of Halloween costumes for the kids in all sizes from baby on up. I imagine these will go fast so I recommend heading over there soon if you want a good selection. They had some really great choices and the quality seemed better than average. Wolverine was so big in our house when my guys were little and it didn’t necessarily have to be Halloween. Some days you just feel like being Wolverine. I still love Wolverine! This one really brought back some nostalgia for me. This is what I’m going to be for Halloween. Aahh, just kiddin’. How precious is this? 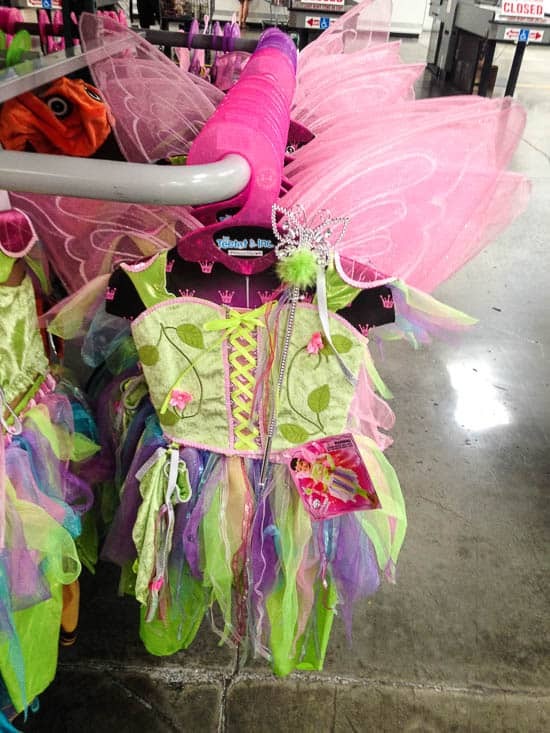 They’ve got some absolutely adorable girls costumes. Love those pink wings. And, that my friends is all there is for this month. I hope you saw something that caught your eye. 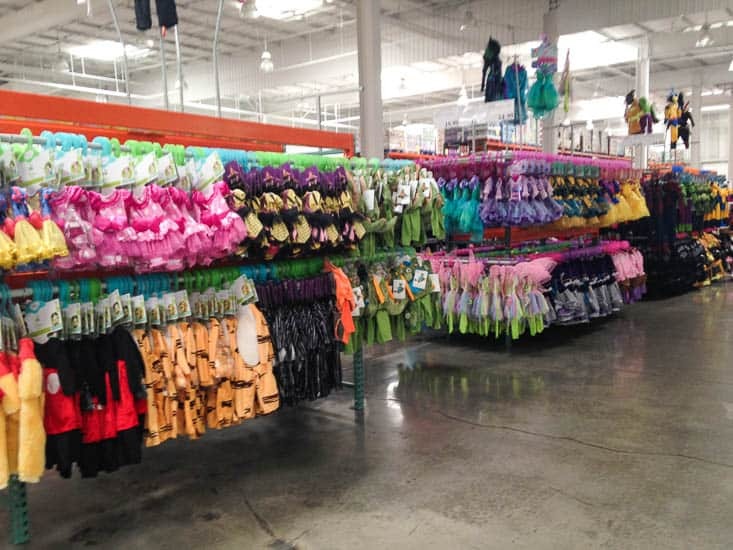 Click HERE if you’d like to check out some of my other Costco finds. 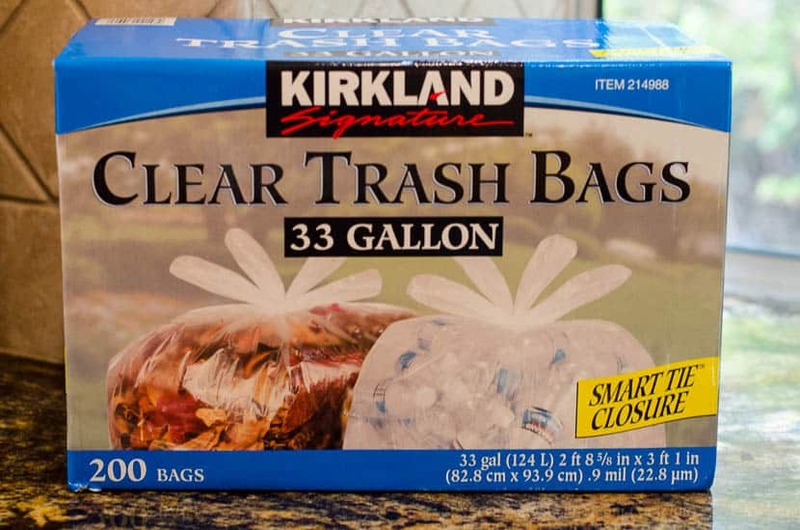 If you have a new favorite item from Costco let me know and happy shopping! Costco is not a sponsor of this site. I’m just there quite often and thought you might like to see the items that end up in my cart and a few that don’t. I was not compensated in any way for this post. We were just there this weekend and it was crazy! There was a great deal on light Jarlsburg cheese. Now I need the Food Saver because what am I going to do with all that cheese lol? I have always wanted one. 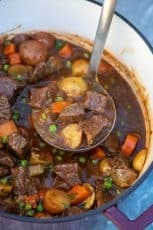 I end up throwing a lot of food out from freezer burn! I love mine, Beckie! Costco has a good price but I’m betting you could do good at Amazon too. They’re not just for big families. I find it especially helpful when we have less people in the house because I can portion out and vacuum seal almost anything, even leftovers. Part of your haul looks like my last one. We grilled up some Coho Salmon last week and the flank steak this weekend. 🙂 Need to keep an eye out for that ravioli and the olive trio. I’m paying a fortune for good olives right now, and I know the Costco olives will be cheaper and just as good. Great haul! Thanks, MJ. I looking forward to cooking that salmon! I’ll definitely be trying those olives if they keep them around for awhile. Since we work on both weekends, we do go to Costco during the week. I can’t stand the long lines and crowded space on weekends anymore. Good thing you shared this post. My husband has been going to Costco last two times, and I keep bugging him about kids’ water bottle and seems like he’s missing it out. I need to remind him! So you do save the cheese! I wasn’t sure if we could freeze the block of cheese but now I am thinking about the Food saver thing…or maybe when my kids get a little older. I’ve been very tempted to buy. But we only have one fridge, so it’s limited space. So glad you’re having fun making smoothies with Nutribullet. This machine is so worth it considering how often we drink smoothies. I really love the individual portion, so each one makes different flavors. 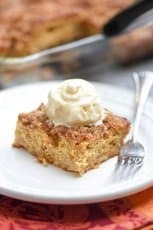 It was a fun post to read! Hi, Nami! They still had a great big display of those water bottles when I was there last week but I’m sure they won’t last. They always take up space with the new seasonal items so quickly. I actually don’t freeze the vacuum sealed cheese, I just refrigerate it. It will stay fresh for 6 to 8 months when it is vacuum sealed. I like that when I open up the packages it’s so much fresher than if I had just wrapped it in plastic wrap. Hi Valerie! I LOVE this feature on your blog. Haha whenever I go to costco I like to peek in other people’s cart to see if they have anything I might want. Those toothy pic things – are they in addition to brushing and flossing? I’ve never seen them before. Is the. Frozen mango sweet? I’ve never had any luck with frozen mango. Thanks again for posting. This feature so fun!